This novel explored so many poignant themes that I really wasn't expecting from this beautiful book. The cover and the title had me thinking that it would be a love story, but it was actually an emotionally honest and heartfelt story. Rachel has recently gone through a divorce from a man she has loved since she was 19 years old; a man she thought loved her. She now finds herself a single Mum with three children to look after and has to take on part time work at Clifton Avenue Carehome to keep them all afloat. It is here she meets Phillip, a big bear of a man, who has found himself at the Carehome without a Mum to look after him, when she is all he has ever known. He doesn't understand the world around him and needs tender loving care, which when Rachel is assigned as his Key Worker, she is so determined to give. And the longer she works there, the more she realises it isn't only Phillip that needs her help. 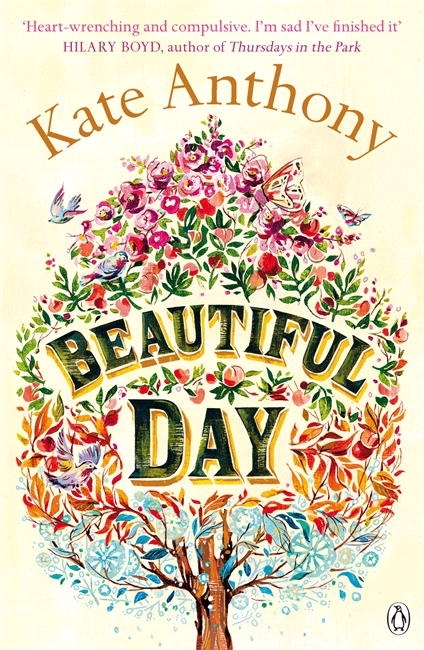 Even though I have never been through the things that Rachel was going through, Kate Anthony's writing was so raw and honest that I felt like I had completely stepped into Rachel's shoes. When an author is able to make me feel so in tune with a character, despite having no experience of their life events, I know this novel is going to be good. This was a heartbreaking, emotional read. I felt Rachel's anger at her ex-husband who seems to blame everything on Rachel when things go wrong with her three children. Even when she is shouting at her children, I still didn't dislike her as a person as she is having to cope with so much and is getting very little help. In contrast, Rachel's patience with Phillip was so heartwarming. And I got incredibly angry at how the social care hierarchy system worked in this, as they definitely did not have the residents best interests at heart. Kate Antony brings to light just how vulnerable people like Phillip are and how they can be so easily abused. This was incredible for a debut novel as it is written with such sensitivity and poignancy that it will stay with me for a long time. Thank you so much Laura for such an encouraging, heartfelt and generous review. It has made a rather dismal Friday feel like Christmas!